As a nursing student at Syracuse University, Barbara Rose had to study contraception so that she could instruct women in its use — something her deeply held Catholic faith wouldn’t let her do. Distressed, she consulted her campus chaplain, whose advice was blunt. 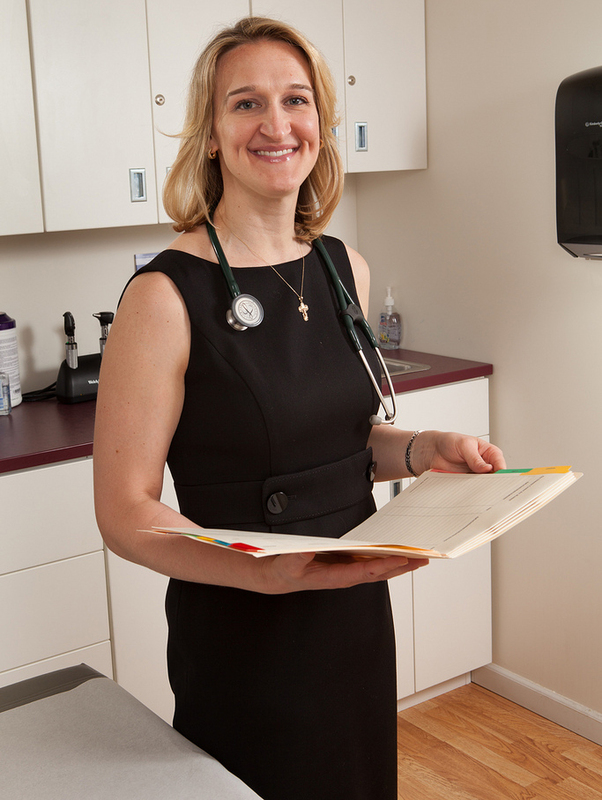 Rose — now an experienced nurse practitioner with several specializations — gladly defied her chaplain’s advice in May 2018 when she helped to open the Gianna Center of Philadelphia, a women’s health care clinic. 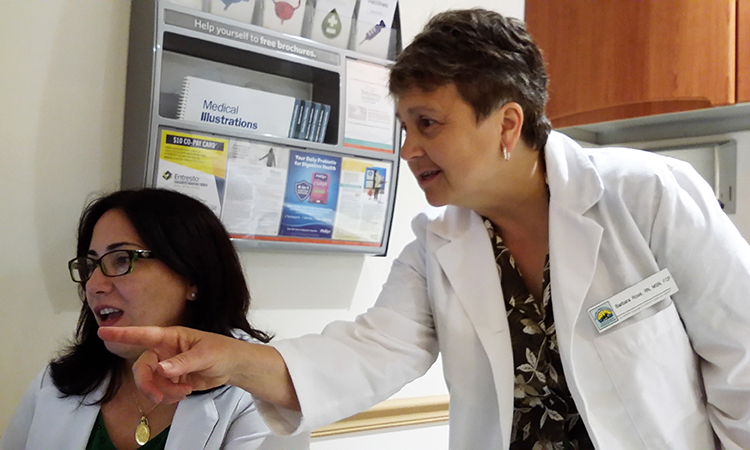 Located in the Mercado Medical Practice at Jeanes Hospital in Northeast Philadelphia, the center offers general gynecological care that conforms to Catholic teaching on sexuality and procreation. The Philadelphia Gianna Center is an affiliate of the National Gianna Center for Women’s Health and Fertility, a non-profit women’s health care initiative that provides natural and ethical options in reproductive and fertility care. Founded in 2009, the center takes its name from St. Gianna Beretta Molla, the 20th-century Italian pediatrician canonized by St. John Paul II for her heroic commitment to the unborn. When a uterine fibroma developed during her fourth pregnancy, Molla instructed physicians to save her child’s life, even at the expense of her own. After a successful delivery via Caesarean section, Molla died of septic peritonitis. Sponsored by the Diocese of Metuchen, the National Gianna Center is based in New Brunswick, New Jersey, where it operates under the auspices of Saint Peter’s Healthcare System. The Philadelphia site is the eighth Gianna Center to open in the U.S. but a more dramatic expansion is planned, according to co-founder Dr. Anne Nolte, who works at the center’s flagship location in New York City. On the center’s website, Nolte recently announced that the non-profit’s goal is “to have a Gianna Center at the service of every diocese by the year 2023,” which marks the 50th anniversary of Roe v. Wade, the 1973 U.S. Supreme Court decision that legalized abortion. The Gianna Centers feature two key health services that emerged during the latter half of the 20th century: the Creighton Model Fertility Care System (CrMS) and Natural Procreative Technology (NaPro). CrMS systematically charts cervical mucus and bleeding changes in a woman’s menstrual cycle to assess fertility and overall reproductive health. NaPro uses CrMS to monitor hormonal events and to correct issues by working cooperatively with a woman’s natural cycle. Treatment is provided in a manner consistent with the U.S. bishops’ Ethical and Religious Directives for Catholic Health Care Services, the sixth edition of which was released in June 2018. According to the Gianna Center, CrMS allows 98 percent of normally fertile couples to achieve a pregnancy within six months. The method is 99.5 percent effective in avoiding pregnancy. Cervical mucus methods (CMM) such as CrMS are one of three categories of natural family planning (NFP) recognized by the U.S. bishops. The other two are sympto-thermal methods (STM), which measure basal body temperature as well as cervical mucus; and sympto-hormonal methods (SHM), which use an ovulation predictor kit to detect reproductive hormones in the urine. In the course of her research, Nolte met Rose, who introduced her to CrMS and NaPro. A longtime NFP instructor in the Philadelphia Archdiocese, Rose became certified in both technologies after several disappointing experiences at the doctor’s office. Rose traveled to Omaha, Nebraska to train at the Pope Paul VI Institute for the Study of Human Reproduction. Founded and directed by Dr. Thomas Hilgers, the institute promotes research and education that support Catholic teaching on reproductive health care. A clinical professor in obstetrics and gynecology at Creighton University, Hilgers spearheaded the development of CrMS and NaPro. To promote NFP, Rose and several colleagues formed the Friends of Fertility Care Philadelphia, which educates women, couples, health care professionals and clergy in CrMS and NaPro. Spreading the message can be a challenge, especially since many Catholics — 45 percent, according to a 2016 Pew Research Center study — view contraception as morally acceptable. Another 42 percent do not regard it as a moral issue at all. Frustration with the “rhythm method,” a basic means of calculating ovulation, has also stymied NFP advocates. NFP requires couples to commit themselves to the method and to their sexuality — as it should, said Nolte. “There’s a discipline involved that actually deepens the whole of their married love,” she said. Listen to our podcast on ‘Humanae Vitae’ featuring Steve Bozza, director of the Archdiocese of Philadelphia’s Office for Life and Family. Larrauri observed that CrMS and NaPro also represent a more holistic form of health care, while contraceptives — which work by using hormones to suppress ovulation and alter cervical mucus — derive from a “mechanical” view of the body. “In my opinion, physicians are being mostly trained just to deal with the specific body part that’s affected — but not with the whole person, not with the soul,” said Larrauri, who had previously prescribed contraceptives before embracing church teaching. Contraception is often broadly promoted as an option for impoverished and marginalized women, added Larrauri, who has focused on serving low-income and immigrant populations. For that reason, the Gianna Centers make their services available to all women, regardless of insurance coverage or religious belief. The centers are actively cultivating long-term benefactors to support their mission. For donors, patients and insurers, the investment is cost-effective, said Rose. Larrauri pointed out that the average cost of in vitro fertilization (IVF) ranges from $10,000 to $15,000 per cycle, and carries increased risks for breast, uterine and ovarian cancer. Per baby conceived, NaPro spares an average of seven human embryos that would be created and ultimately destroyed through IVF, while saving $50,000 to $100,000 per pregnancy. The natural method also has a lower rate of preterm birth — 7 percent for NaPro compared with 39 percent for IVF. Nolte observes that CrMS and NaPro address key issues in women’s health care. “This approach is focused on educating a woman about her body and empowering her to understand what is going on with her reproductive system,” she said. Larrauri added that the methods serve the principles of medicine as a whole. Both of our boys are NaPro babies. Thank God we had found about this amazing ad natural fertility method. Barbara Rose is a God send!